Here’s how you know you’re from Miami: cold weather is not your friend. When I moved from Miami, I was a naive little girl who couldn’t wait to experience such things as “real seasons” and “snow” and “wearing all those cute and elegant winter clothes”. That feeling lasted a grand total of about a week when I realized–in the middle of an Ohio winter– that I actually had to drive in that wonderful snow I had been so anxious to see and it actually hurt to get out of bed in the morning and get dressed because of how cold it was. Fast-forward to the present, living in beautiful Italy where the sun is eternal and warm weather reigns. Well, it doesn’t. Fall is here in full swing, with temperatures that this Miami girl considers dead of winter (think mid-60s). This is going to be the fourth real winter of my entire life and I am still not used to it at all. My productivity level has reached a new low and I’m just about ready to throw in the towel already, retire under my covers, and hibernate until next April. 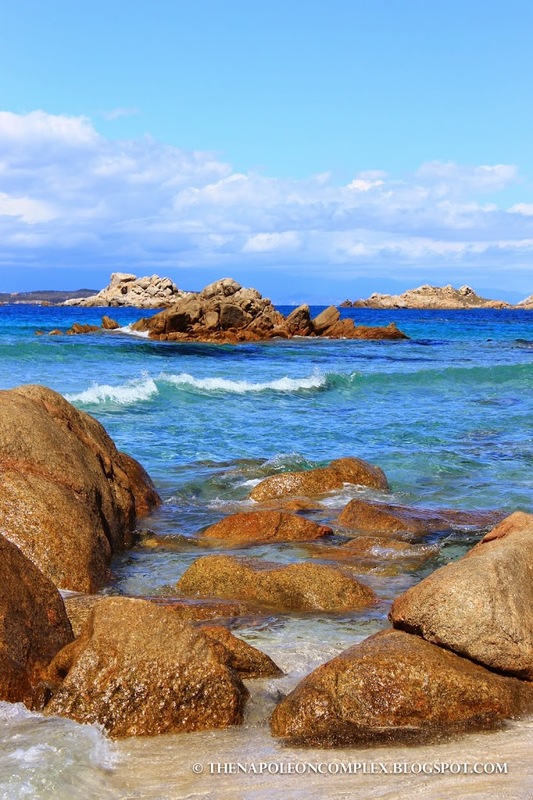 There are a couple of ways to get to Sardinia: you can fly or you can take the ferry. Spoiler Alert: for the love of everything you hold dear, fly! 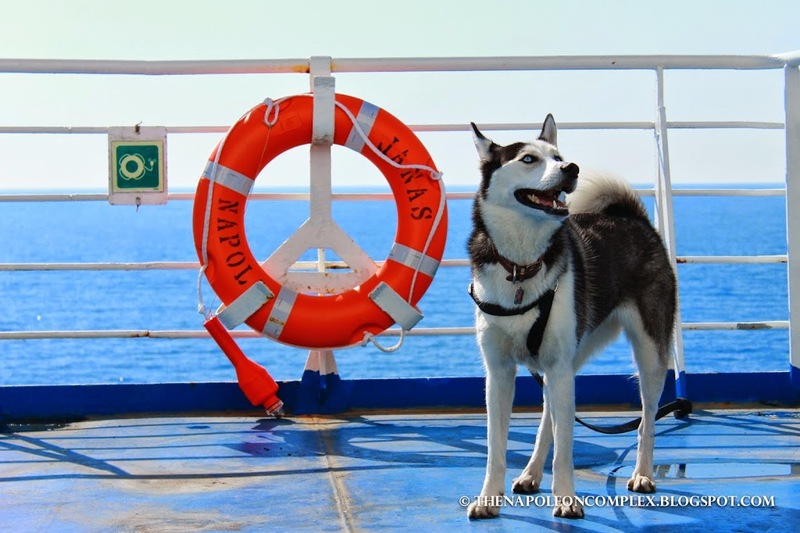 We decided to take the ferry for two reasons: 1) we took our car and it was cheaper to take it on the ferry than to rent one for the amount of time we spent there and 2) we took Arya. 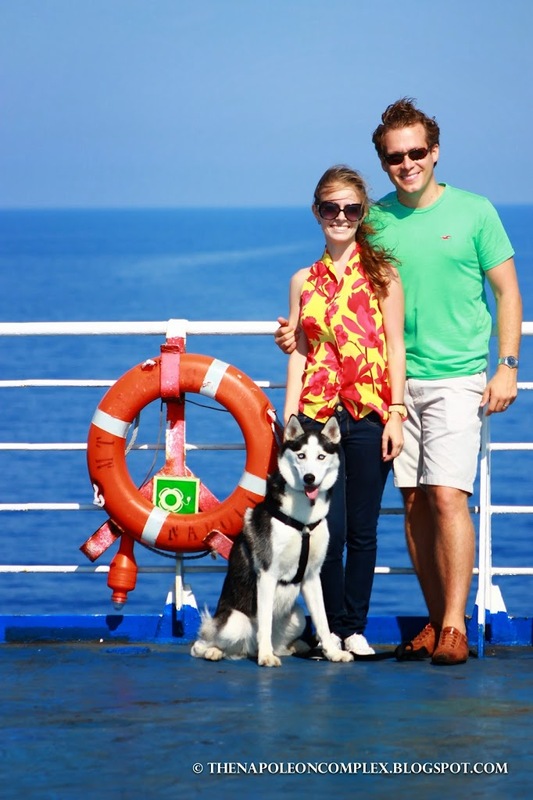 Unfortunately, the ferry ride was the absolute worst part of our trip. First off, the actual ferry trip is like four or five hours long (compared to a 45 minute flight). There are two companies that take you from Rome’s port in Civitavecchia to one of Sardinia’s ports at Olbia: Tirrenia and Moby. We chose Tirrenia because it was cheaper and apparently we just haven’t learned our lesson of “you get what you pay for”. I don’t know how many of you have taken ferries or how much this ferry differs from other ferries, but this is the way it works: you arrive like two hours before you’re set to sail and hang out for a bit until they allow you to drive your car into the boat. Once you’re parked, you have to take everything you think you’ll use during the trip because the garage is closed for the duration of the trip. Then, depending on what ticket you chose, you either get a private cabin, or a nice airplane style seat, or in our case, you get to hang around on the deck. 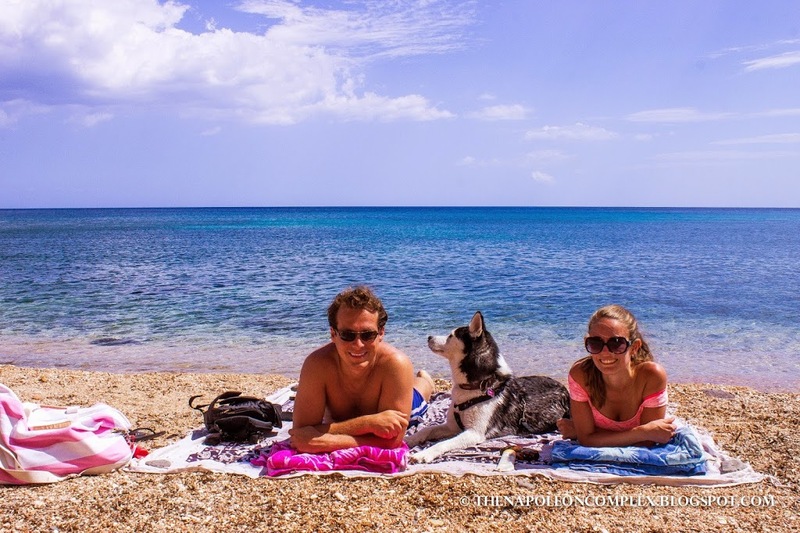 This is mandatory if you plan on bringing your dog. Here’s what they don’t tell you about the deck when you’re booking this ferry: there are no seats. Not one. Basically, we had to either stand or sit on the floor for five hours. 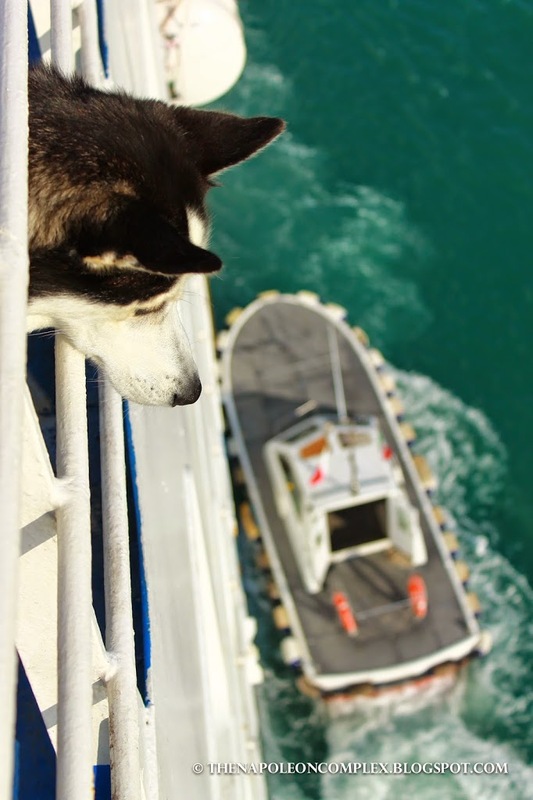 If you try to even find an out of the way spot inside the ship with your dog, they’d kick you out. Of course, the Italians that had done this before came prepared and brought either beach chairs or towels to lay out and tan. We had no idea what to expect on the way there so we were completely unprepared. On the way back, we wised up and brought all our beach towels and even some sandwiches. Even though it was all a little bit of a shock, we made the best of it and still managed to take some cool pictures. This was our favorite beach. It was more like a small bay, so the real estate on the sand was hard to come by, but it had the cleanest, most beautiful waters I have ever seen. It was also close to where we were staying, which made it even better. We loved it so much, we couldn’t help but go twice! 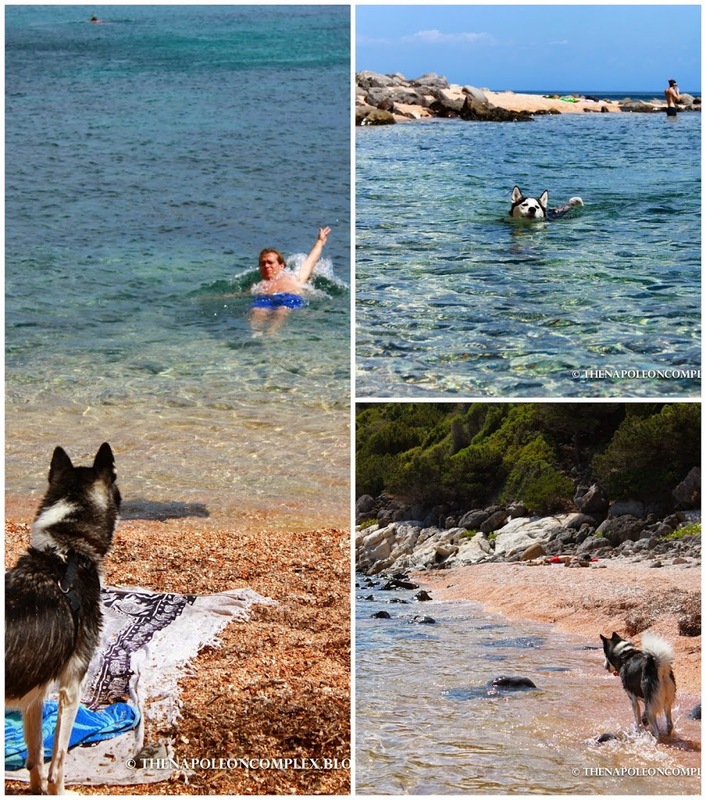 Cala Gonone had a splendid beach as well, but we headed to a small section called Sos Dorroles, which was the dog section of the beach. Let me tell you about the dog section of this beach: it was better than any beach in Miami, maybe even Florida, that’s for sure. The water was crystal clear, a theme that held true throughout Sardinia, it was more rocky on the bottom, but that made it good for snorkeling. 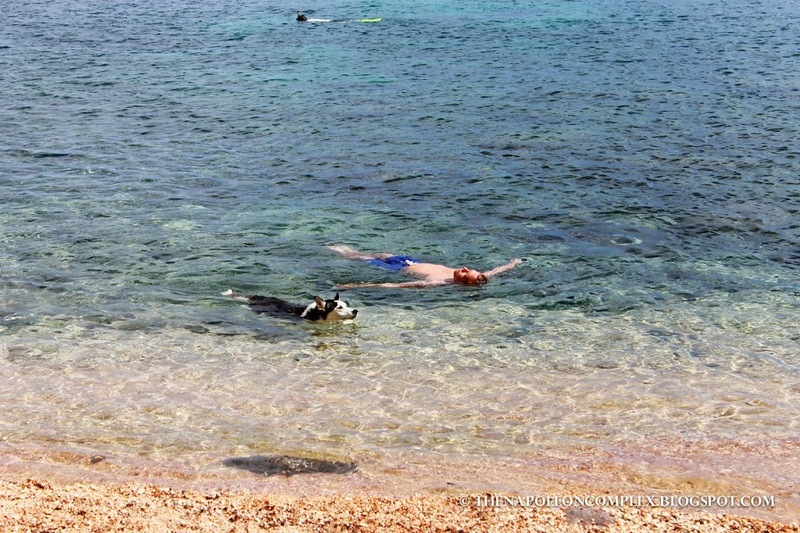 Unlike the dog beach near Rome, both times we went the beach was nearly deserted. Arya could have stayed there for the rest of her life. 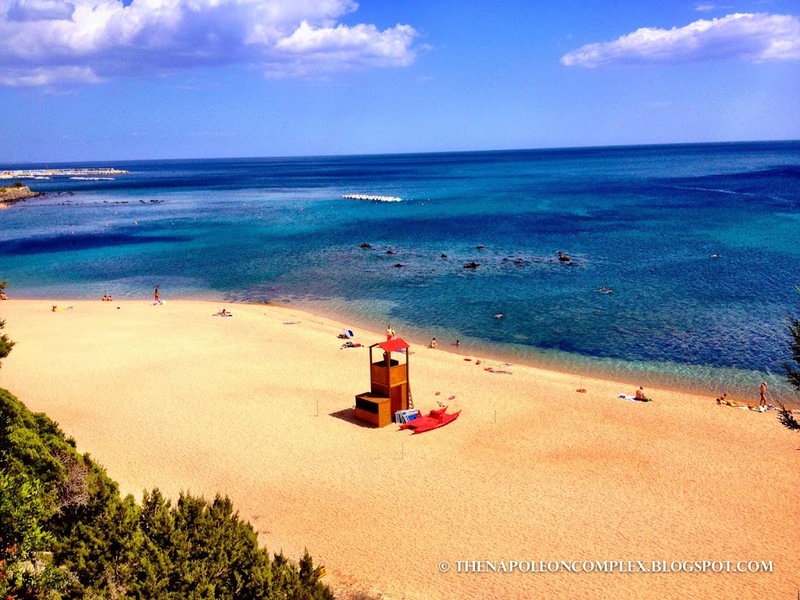 Our first look at Cala Gonone. 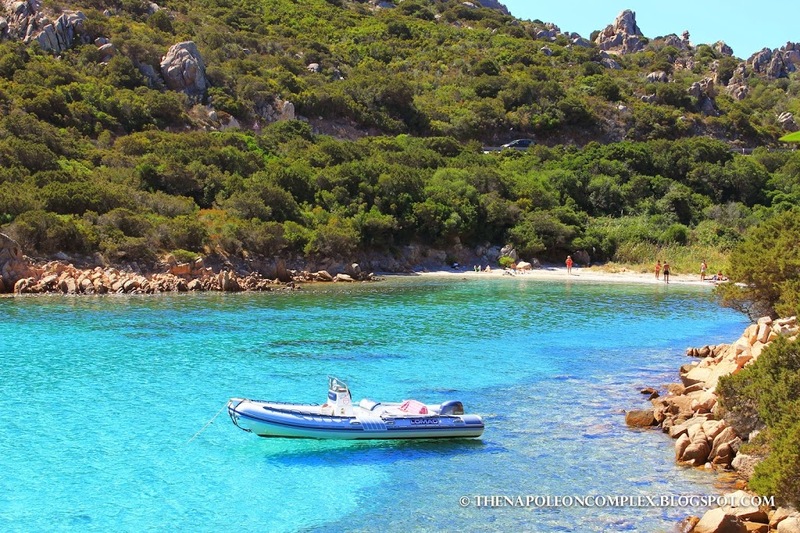 There are a small group of islands off the north-eastern coast of Sardinia called the Maddalena Archipelago (Arcipelago della Maddalena in Italian). You have to take a short ferry ride (much better than the one from Rome) from Palau to get there. There are seven main islands and a bunch of small islets that are only accessible by boat. We were only there for a short day trip, but if I were ever to return to Sardinia, this is definitely where I’d stay. 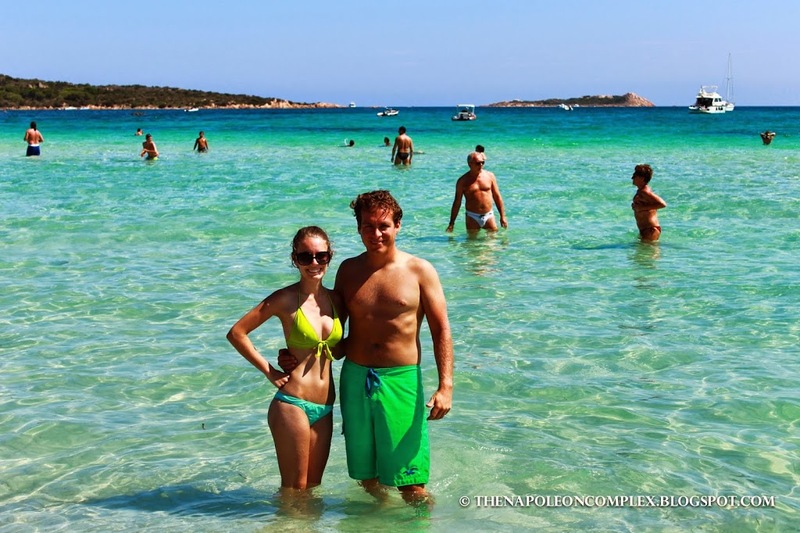 We got to explore the main island, La Maddalena, and its beaches, which were all within a few km of each other on one main panoramic road. All were equally stunning. I can only imagine how beautiful the other beaches on the other islands must be. This picture has absolutely zero filter. It’s that blue and that clear! This was our first taste of the local cuisine. As I mentioned above, it was a ton of delicious food. The only negatives were that they only accepted cash and the service was average for Italy standards in that they really didn’t explain what they were giving you, they just put it out there. Jaime’s “so much yumminess” face. All of that was just the appetizer! This was a seafood restaurant in Budoni. 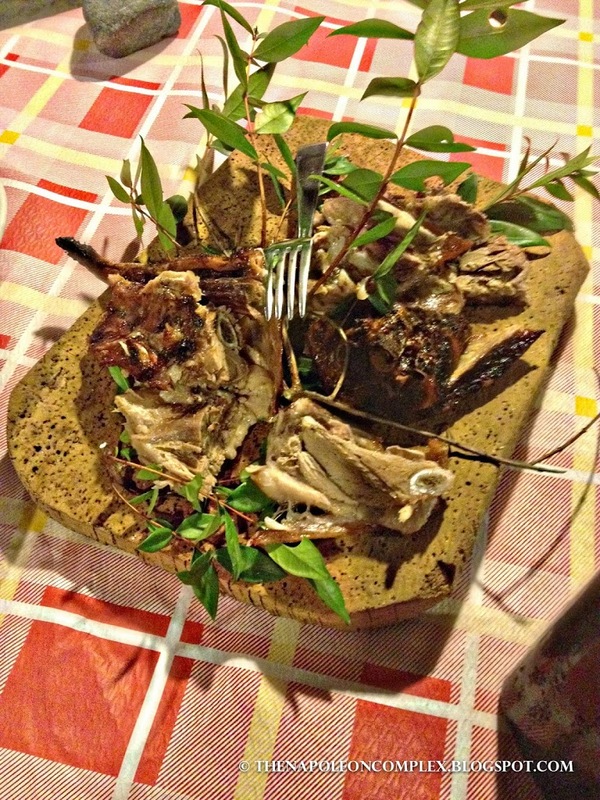 It was a traditional restaurant, not an agriturismo, so it was the most we spent on a dinner during our stay in Sardinia, but it was worth it. 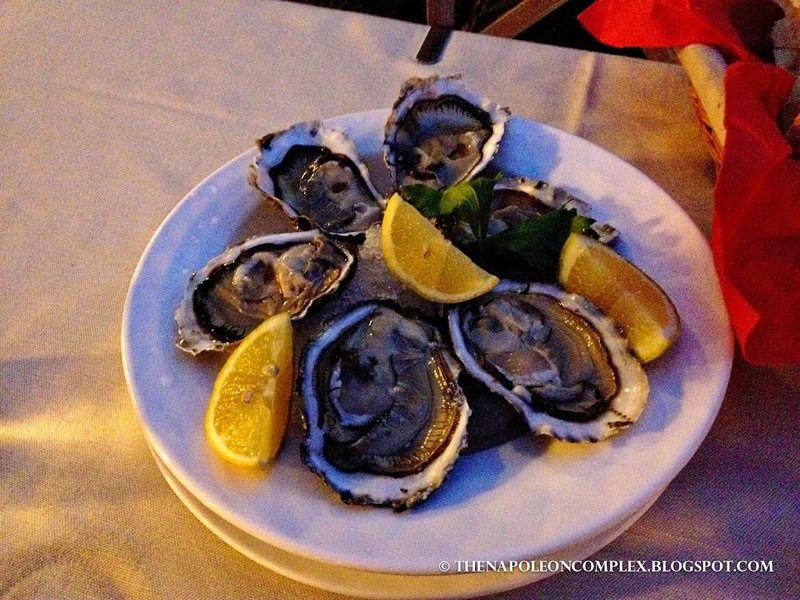 We had my favorite: oysters, which were spectacular, the best we’ve had in Italy. 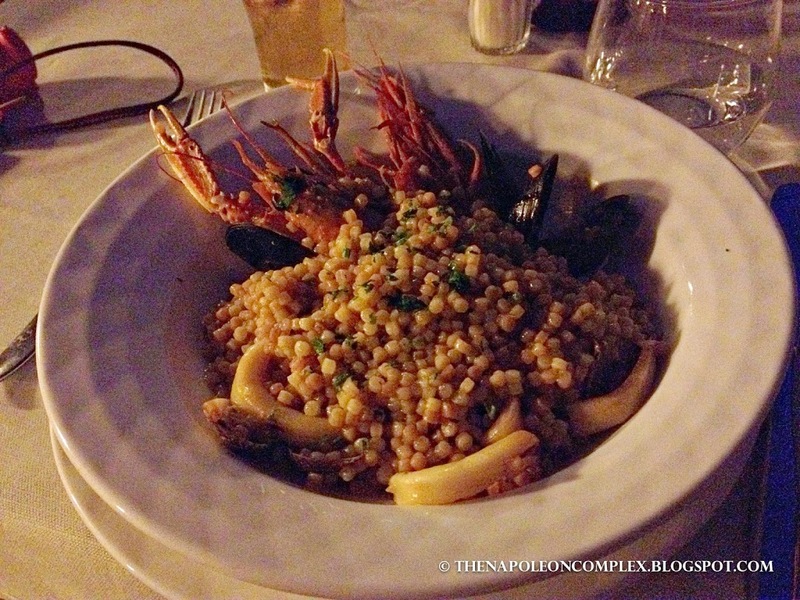 We shared a typical Sardinian dish called la fregola sarda, which consists of pasta similar in appearance to couscous with seafood. One of the best things about seafood dishes in Italy is that, if the restaurant is good, when they say the pasta has seafood, they don’t mean just one or two tiny shrimp, they mean theres more seafood than pasta. 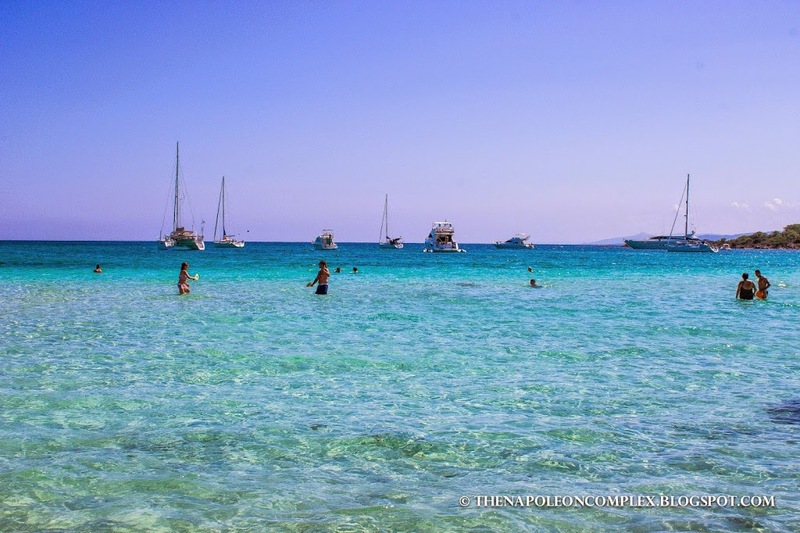 During our stay in Sardinia, we managed to squeeze in one day of non-beach related sightseeing in the town of Alghero. The town was pretty, but what made it memorable for me was the awesome lunch we had at this focacceria. The house specialty was the Focaccia Milese, with tuna, tomatoes, and other goodies and it was spectacular. All for the price of 2.50€ each! This was the star of our trip to Sardinia. This agriturismo was way up in the mountains, about 20 minutes from the nearest village. I specify this because, as it tends to happen with us, we realized way too late that we might not have carried enough cash for our dinner and we were already extremely late for our reservation. Before we sat down we told the owner our dilemma and he assured us not to worry about it. After another spectacular dinner, similar to the one in Agriturismo F.lli Corda but with an explanation of every dish, we were short a few euros so Jaime was going to drive back into town to find an ATM. The owner would not hear of it, nor would he allow us to schedule a bank transfer for the remaining part of the bill. We were absolutely mortified for the rest of the night, but to have experienced such an act of hospitality was simply inspiring. It was definitely the highlight of our time in Sardinia. 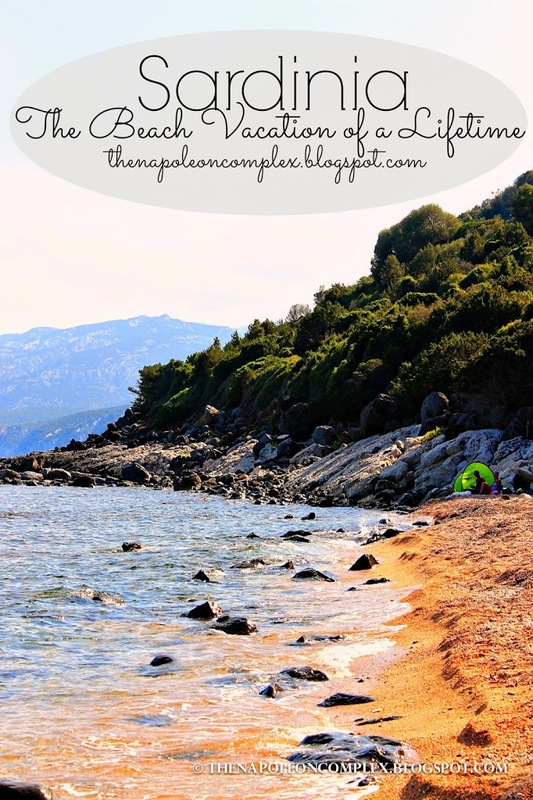 Sardinia was probably the biggest surprise for me of all the places we’ve visited in Italy. It really exceeded my expectations to such an extent that whenever someone asks me now what my favorite place in Italy has been, the answer can only be Sardinia. If you’re looking for a beach vacation, a romantic getaway in Europe away from the crowds, please please please consider Sardinia. 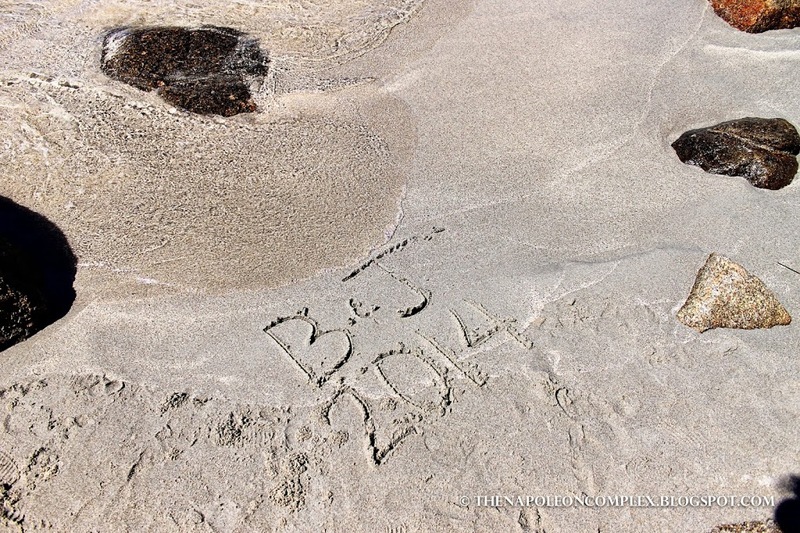 It will be the beach vacation of a lifetime! Um this is officially added to my (very long) must-see list during the summer!! Wow – absolutely breathtaking. Yes! 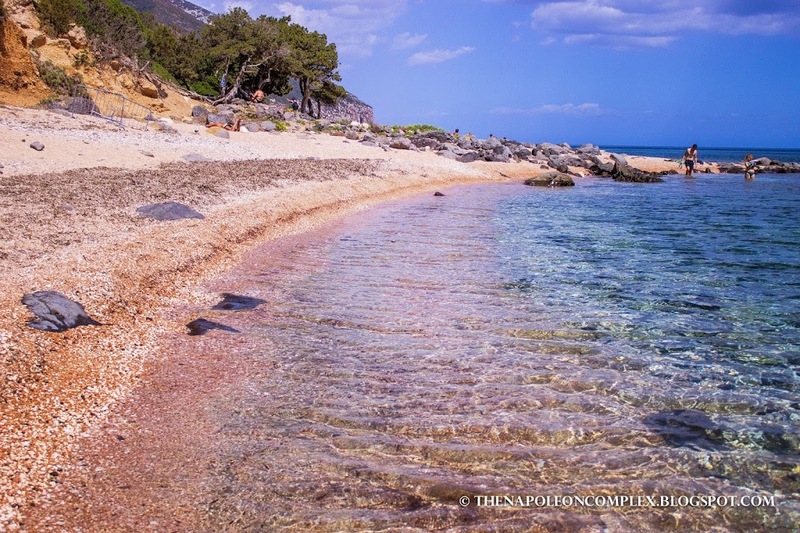 Honestly, I’d like to tell you that you can find beaches like this on the mainland (and maybe you can), but Sardinia beaches are the best I’ve been to in Italy. 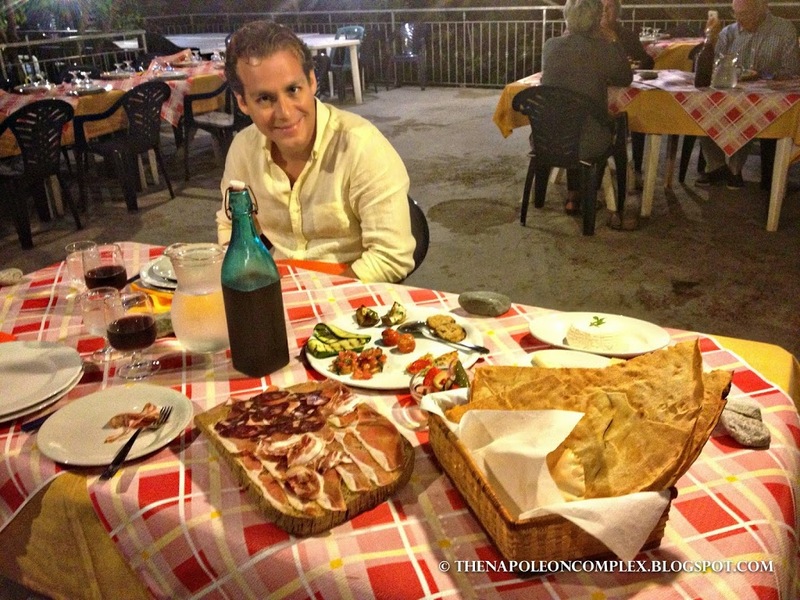 The ones near Rome are nothing to go crazy about, and the ones in the Italian Riviera (Cinque Terre, etc.) are pretty, but not on this level. If you have the opportunity to go, don’t think twice!